Halo 4, the latest release in the popular franchise, has set a record within the Halo series for biggest opening day with 3.1 million units sold, according to the website VGChartz.com. 1.9 million of those sales were in the United States, around 60% of the total sales. The previous two releases in the franchise, Halo 3 and Halo: Reach, had opening days about 15% lower than that. The game is projected to sell around 4 million units by the end of the week, which also breaks the record for the last two Halo games. 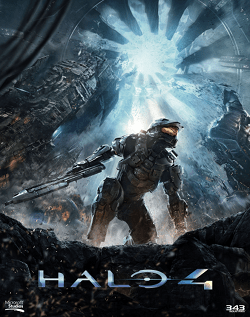 Halo 4 released on November 6.